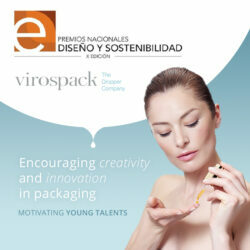 An excellent and intense formula in a premium and trendy packaging by VIROSPACK. 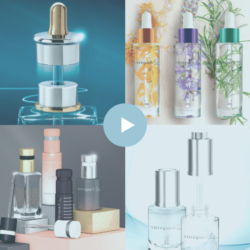 BIOEFFECT, the first skin care brand to contain cellular activators made in plants, presents BIOEFFECT 30 DAY TREATMENT, an intensive anti-ageing serum that radically will change what women come to expect from a skin care product. The unique and green biotechnology behind this product, is based on the understanding of the genetic language. 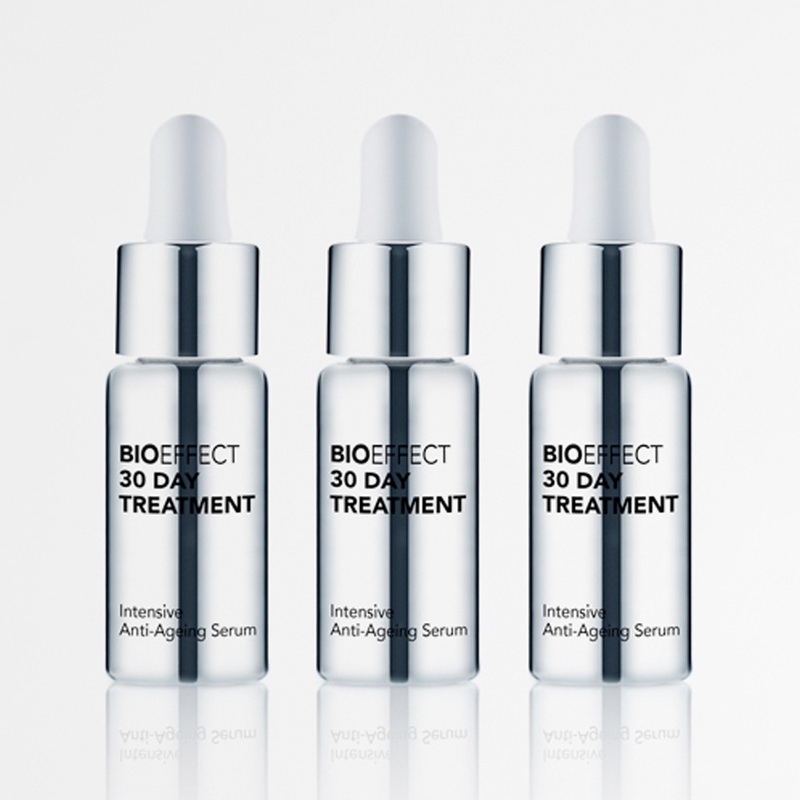 BIOEFFECT 30 DAY TREATMENT is the world´s first and only skin care product to contain three different types of cellular activators found in human skin -in high concentration in young people-, replicated in plants. An innovative and intensive boost that delivers real, noticeable results, renewing the visual qualities of firm, radiant and youthful looking skin. This innovative, high concentrated and effective facial serum is presented in a qualitative packaging entirely developed and manufactured by Virospack. A luxurious small size dropper with a premium finish. A presentation high qualitative, eye-catching look and trendy, because small droppers are the best option for shock treatments and Virospack the trendsetter in this market. The dropper is perfect for this kind of cosmetics due to its precision in dispensing and its safety in usage. It permits a drop-by-drop dosage, applying the desired product precisely where it needs to act in the required quantity. This packaging ensures safety, as it protects the formula from any contamination that might be caused by usage. Only a drop of the product comes into contact with the skin while the rest of the formula remains intact. Small sizes are an increasing trend in cosmetics. A format that answers better to the routines and lifestyle needs of the current consumers. 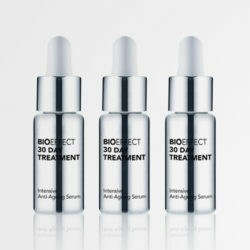 A format really well valued for intensive treatments like BIOEFFECT 30 DAY TREATMENT, which is presented in a box with 3 small dropper bottles of 5ml capacity each. These benefits – positive emotions stemming from the dropper’s pharmacological connotations and its comfortable size – are complemented by a premium design and a high-quality finish answering the brand´s desires. 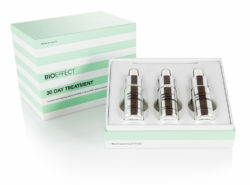 The full dispenser pack of BIOEFFECT 30 DAY TREATMENT has been developed, manufactured and decorated in Virospack´s facilities. The final presentation is extremely qualitative. A packaging with a premium look thanks to the metallized finish of the bottle and the brilliant aluminium shell of the cap. A wonderful team thanks to the perfection of each component and all decoration techniques obtained under the strict Virospack Q&A levels. Thanks to Virospack´s in-house decoration techniques, the vial has been customized answering the briefing of the brand playing with the silk screening in black. A premium dropper dispenser pack that answers to the selective brand positioning transmitting perfectly the design requested by the client. A dropper in a small size that answers to the product´s concept –intensive treatment serum-. At the end, an elegant, clean, pure, dermatological and eye catching look dropper that ensures the maximum precision for drop-by-drop dosage of this excellent and effective intensive anti-ageing serum. Apply 3-4 drops of BIOEFFECT 30 DAY TREATMENT every morning and evening to the clean face and neck, making sure to pat gently around the delicate eye area. An after 30 days enjoy your skin reducing significantly fine lines and wrinkles, firming, improving radiance and tone and repairing the look of fragile and thinning skin.